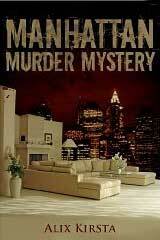 Now available for Kindle … Manhattan Murder Mystery, from Amazon. When New York heiress Irene Silverman vanishes from her Upper East Side mansion, the case sparks a major criminal investigation. A fifty-strong team of FBI and NYPD officers scours the city's streets in vain for evidence or sign of a body, becoming caught up in one of the most perplexing mysteries in New York's criminal history. Detectives soon it a dead end. Is she dead, or alive? When an elderly woman, Sante Kimes, and her son Kenny, are arrested in another part of town on minor fraud charges, the Silverman case takes a chilling twist. Are the couple connected to her ? An eagle-eyed NYPD officer thinks so. As police teams around the USA probe the background of Sante and Kenny Kimes reports of a horrifying crime spree materialise, linking the couple to property theft, fraud, kidnapping and multiple murders throughout the country, for which they have so far escaped arrest. Eventually, the couple's deadliest and most audacious plot is exposed. The Kimeses have come to New York for one reason only, and soon they are charged with the murder of Irene Silverman. It is Manhattan's "trial of the century". But the mystery remains. Irene Silverman's body has never been found, and her last moments and cause of death are still unknown. Anger, violence, hostility and hate — apparently understandable, even acceptable, traits in men — are still largely condemned as abnormal in women. 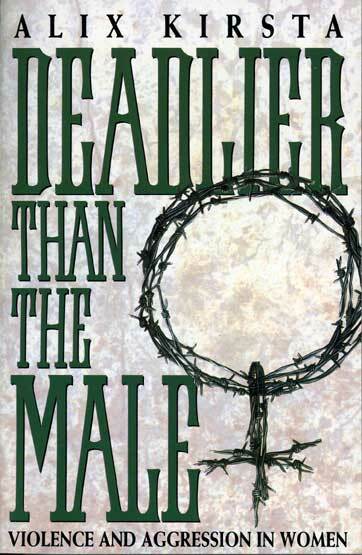 Deadlier Than the Male explores these darker aspects of the female psyche, and demolishes age-old taboos. Why are women's acts of violence so often directed at themselves? Is extreme promiscuity or 'aggressive' sexual behaviour as acceptable for a woman as for a man, or is it a consequence of her own self hate? And what turns a woman into a child abuser, a husband batterer or a killer? Alix Kirsta has conducted extensive research both in this country and in the USA and includes many fascinating, even shocking, case studies. She looks into the origins of violence and destructiveness, the chemistry of aggression and the history of violent women, exploding the myth of 'appropriate' feminine behaviour. Shocking, but revealing, bestselling author Alix Kirsta's book is a must for anyone interested — professionally or personally — in women in society. With violent crime on the increase, many people are finding themselves directly or indirectly involved in the results of its brutality. Coming to terms with the mental and physical effects of a violent attack can take years; some never recover fully. 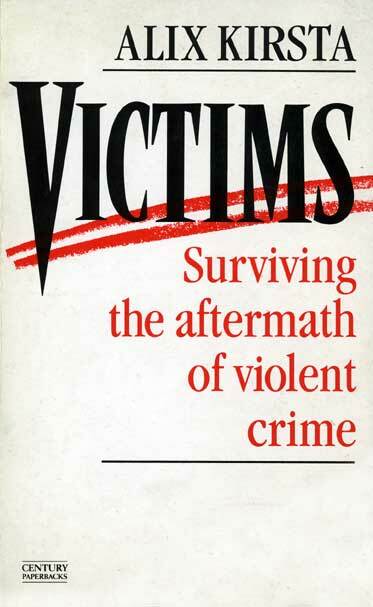 Victims is a long overdue book which seeks to help all survivors in a society which not only has no place for them within the legal system but also offers little financial or practical support. 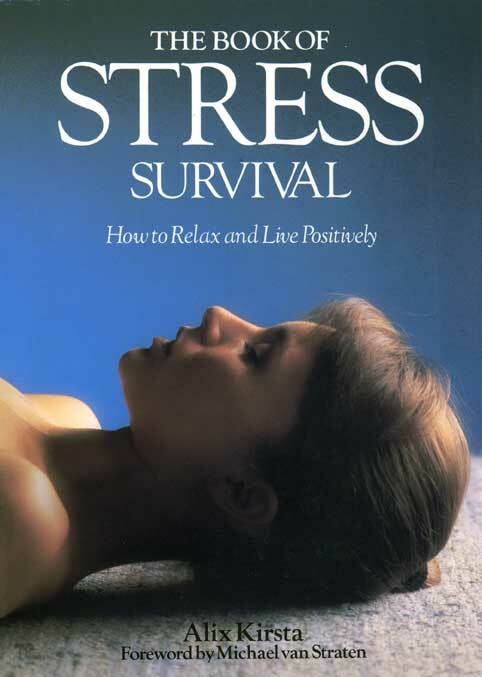 The Book of Stress Survival is the most useful and comprehensive reference available on stress management. Not only does it examine the causes and effects of stress, it also shows how to pinpoint and reduce the stress in your life. With beautiful illustrations and clear, step-by-step instructions, The Book of Stress Survival takes you through meditation and relaxation exercises to yoga and massage — essential skills for developing a stress-free lifestyle. The book has been translated into 15 languages, and has sold almost 500,000 copies.